Type SSG Two Shaft Shredder | Nippon Prog Co. 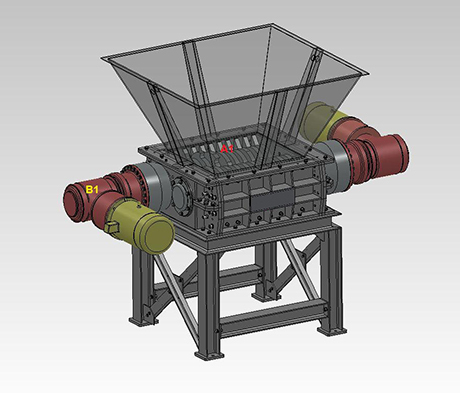 The main purposes of the double shaft shredder is processing large objects, and preprocessing objects for more fineness. 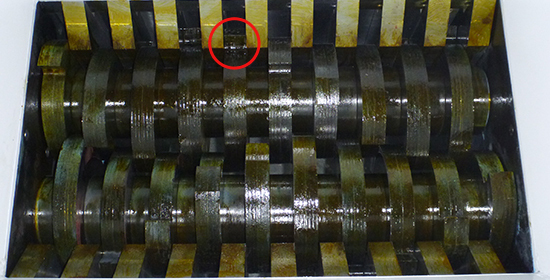 Type TSG double shaft shredder automatically detects the load amount and reduces strain by changing rotation patterns, making possible the fracturing of difficult objects. Various objects can be processed; mainly waste plastics, scrap wood, paper, textile, and small electric appliances. 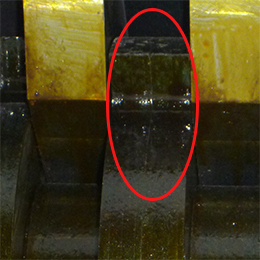 The blade is the key to the fracturing power of the type TSG double shaft shredder. They are fixed in a wave form, thoroughly fracturing objects. The formation draws in and fractures objects smoothly.